Obituary for Scott Alexander LeMoine | W. J. Dooley Funeral Service Ltd. It is with great sadness that we announce the passing of Scott Alexander LeMoine age 62, beloved son, brother, uncle and friend, on Tuesday August 21, 2018, at the Northside General Hospital, surrounded by his loving family. Born in Saugus, Massachusetts, on March 3, 1956, Scott was the son of Barbara (Jackson) LeMoine, North Sydney and the late Hudson LeMoine. 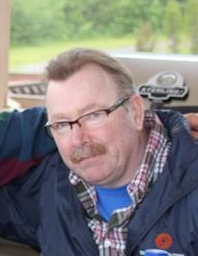 He was employed for a number of years as a produce manager at SuperStore, Halifax. Scott enjoyed sports, he was an avid Boston Red Sox and Boston Bruins fan and a great lover of music. He was a member of St. John the Baptist Anglican Church, North Sydney. Besides his mother Barbara, Scott is survived by his brothers Ken (Donna) LeMoine, Halifax and Ted (Stacey) LeMoine, North Sydney, his nieces and nephews Zachary (Joanne), Jessica (Stan), Arianna, Hudson, Vivienne, grandnieces and nephews Lily, Anthony, Charlie and Mika, special friends Gina Galpin, Ian Gunn, Ian MacLean, Tony Fernandez and also by numerous aunts, uncles and cousins in Canada and United States. Scott was predeceased by his father Hudson LeMoine in 2005. Visitation for Scott will be held 2-4 and 7-9 p.m. Friday in the W.J. Dooley Funeral Home, 107 Pleasant Street, North Sydney. A funeral service will be held 11 a.m. Saturday in the Funeral Home Chapel with Rev. Glen Kent officiating. Burial to follow at Lakeside Cemetery, North Sydney. Family flowers only, memorial donations may be made to St. John the Baptist Anglican Church or the Haley Street Adult Services Centre Society. Online condolences may be sent to the family at www.wjdooley.com .